Payment will be by bank transfer. Each booking will be subject to a £100 refundable security deposit which is payable with the final balance of your holiday. 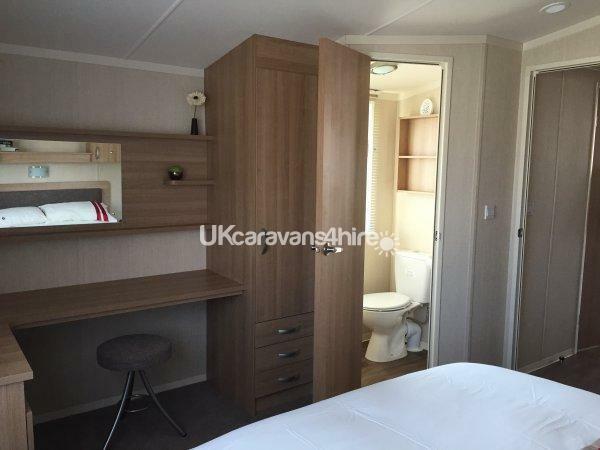 This deposit will be returned within 7 working days once the caravan has been found in good order and the terms and conditions of booking have not been breached. 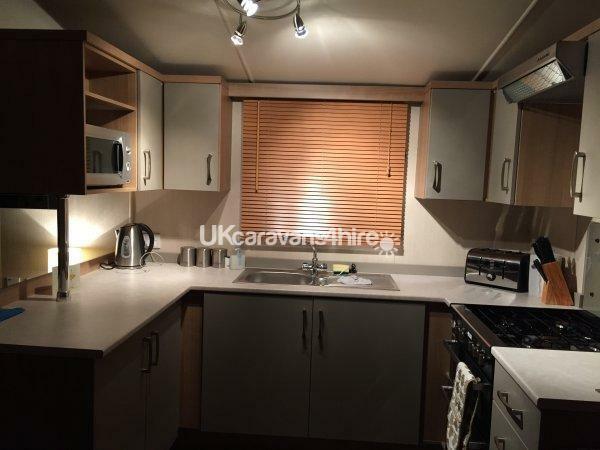 The caravan is a real "home from home" with full double glazing, domestic central heating (gas combi-boiler & radiators) to all rooms, superbly equipped kitchen including microwave, full size cooker/grill, large integrated fridge/freezer, iron/board & all utensils and crockery you need for a self catering holiday. 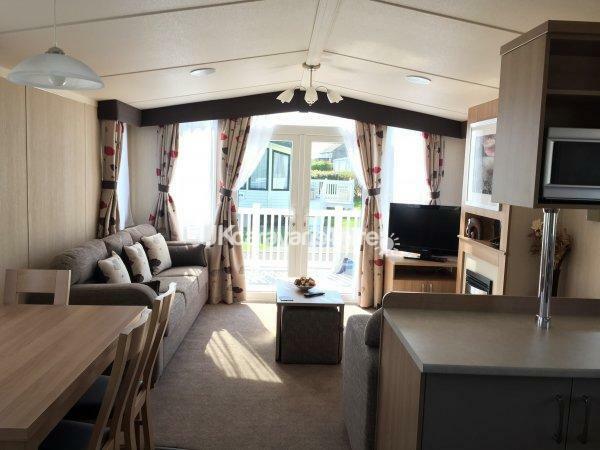 The light and airy lounge area has two freestanding sofas (one of which is a double sofa bed), 32" flat screeen TV with Freeview and integrated DVD player and double opening doors on to the sunny veranda. 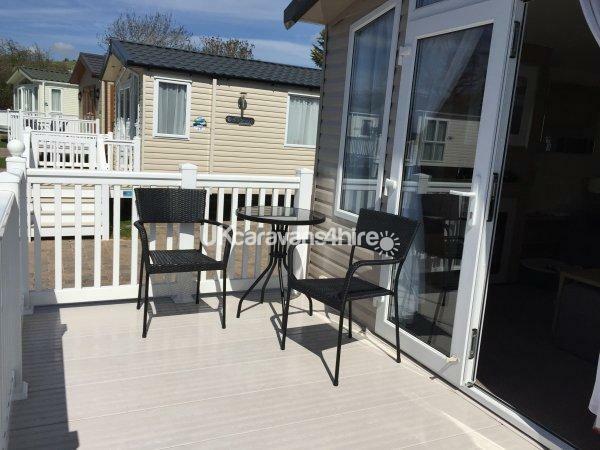 The caravan is situated on an exclusive cul-de-sac pitch in the Windsor area of the park, close to the entertainment centre/swimming pools and benefiting from private blocked paved patio & garden area with picnic bench and parking. 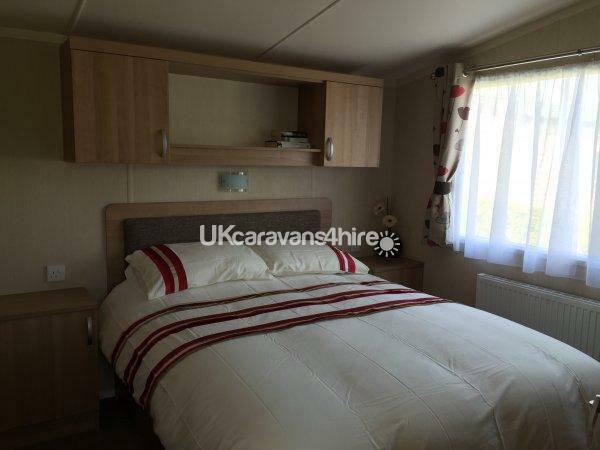 The caravan has two bedrooms & can sleep 4/5 people (maximum 4 adults please) including pull out double sofa bed (in the lounge). The large master. bedroom benefits from a king size bed and en suite toilet. There is a separate shower room with power shower and an additional toilet. 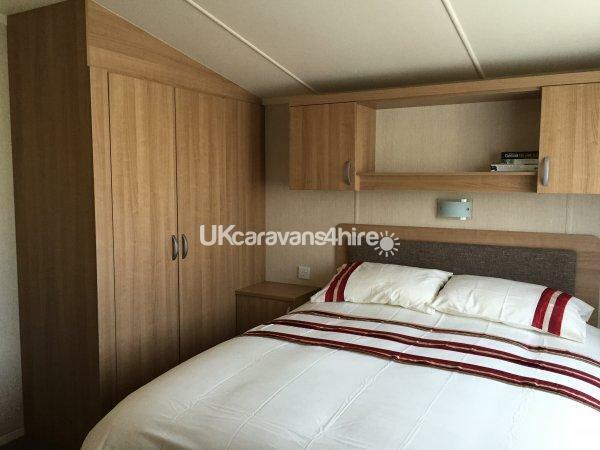 Bed linen & towels are not provided, but otherwise the caravan is fully equipped with duvets, pillows, kitchen equipment etc. STRICTLY NO SMOKING (INCLUDING E-CIGARETTES AND VAPING) INSIDE THE CARAVAN, ON THE VERANDA OR IN CLOSE PROXIMITY TO THE OUTSIDE OF THE CARAVAN. Please see our availability as listed. Outside of school holidays we can be very flexible on lenths of stay so please ask. Discounts will be given on holidays of 7 nights or more. Haven Funworks passes are not included in the price but can be purchased at reception. 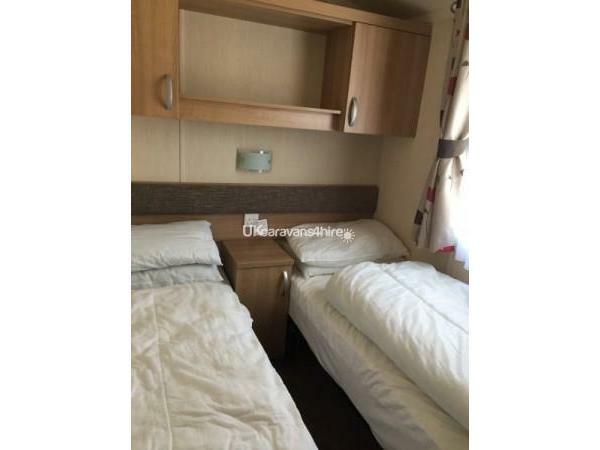 If you don't want to use the Haven facilities, there are three nice pubs within 10/15 minutes' walk of the caravan, both of which serve good food, and the bus stop into Weymouth (10 minutes' drive away) is only a 2 minute walk from the caravan with buses running regularly in peak season.. There are also two fish & chip shops within walking distance and Pappa Johns Pizza who will deliver directly to the caravan. The site is also very close to many nice walks, including the coastal path. Save £££££'s on Haven's prices! 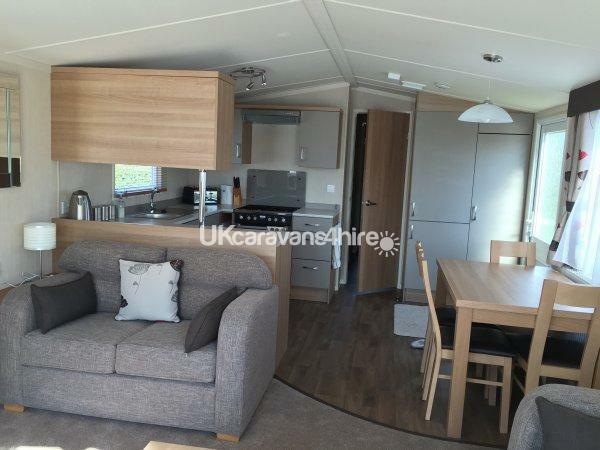 What a pleasure,this caravan was perfect in everyway.made our holiday even more enjoyable,absolutely great owners,great communication throughout the process.highly recommend. 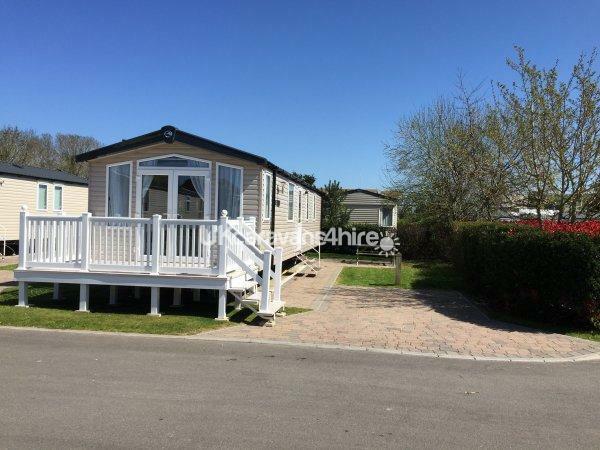 An excellent holiday made even better by being able to stay in such a lovely caravan. Owner very helpful and friendly would reccomend to friends and family. Thank you so much for taking the time to leave us such a nice review. Your comments are very much appreciated. 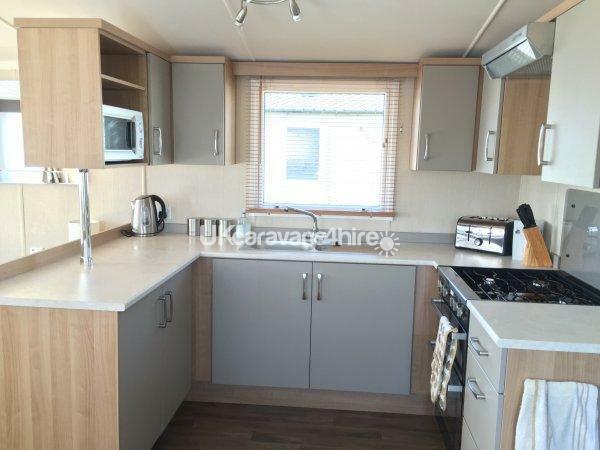 A very clean and well looked after caravan, it’s situated on a lovely site near to all the amenities. I would highly recommend hiring this caravan. 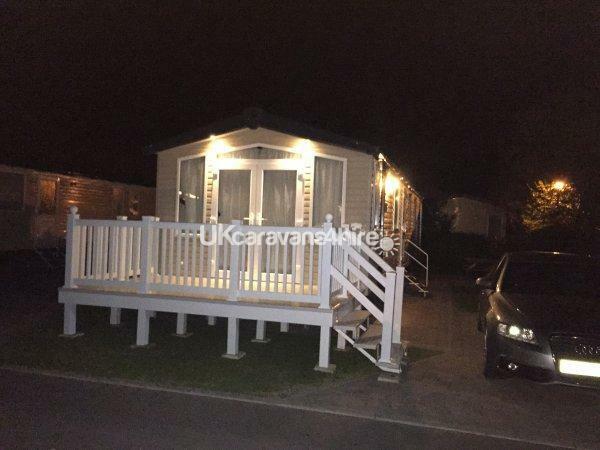 This beautiful caravan is owned by a very lovely and helpful lady, our stay was perfect, thank you. A lovely stay. 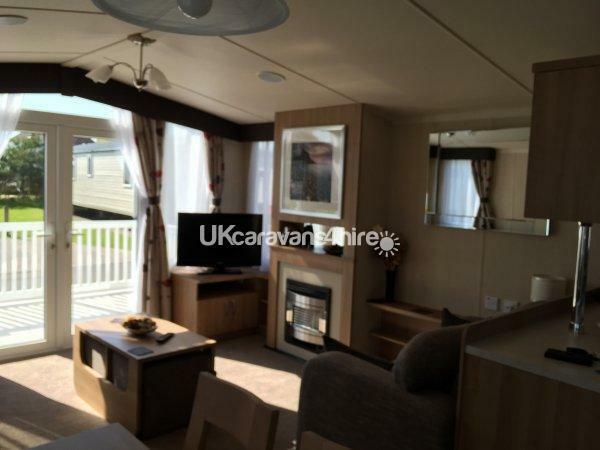 Caravan is lovely, situated in a quiet area. Highly recommend.